The gold filled or sterling cable chain is linked to a lightweight gold filled double heart piece. It is accented with Swarovski crystals or freshwater pearls. You have the option of getting without stones. 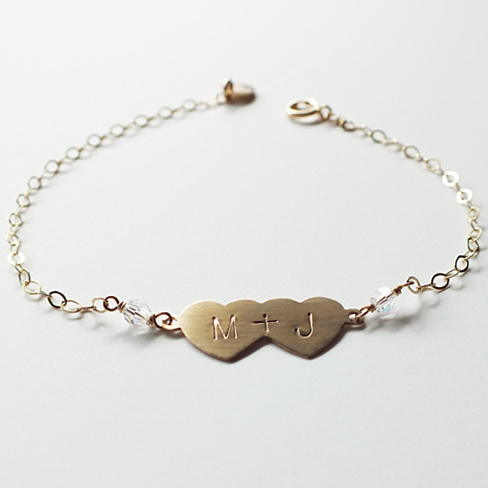 This adorable piece is hand stamped (NOT MACHINE ENGRAVED). Please leave initial choice at checkout. It is available in sterling or gold filled at five different length choices. Please note that average length is 7″.